You can now start submitting recipes for Your Best Meatballs! Remember, we've shifted the contest schedule a bit -- now you have all weekend to start entering recipes but be sure you do so before next Thursday at midnight. The winner will receive a $500 gift card from Whole Foods Market and 2 tickets to the New York City Wine & Food Festival's sold out Meatball Madness event on Thursday, October 7th (valued at $400). The runner-up will receive a $150 Whole Foods Market gift card. 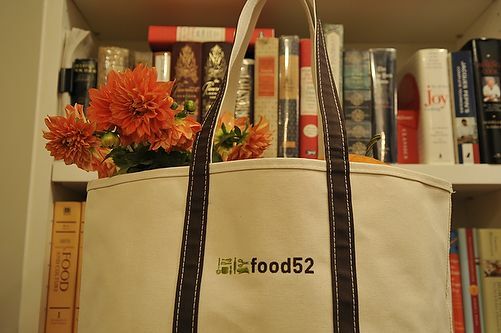 For the next 3 weeks, winners will also receive a snazzy food52 tote bag from L.L. Bean (pictured below) on top of their bounty of OXO goodies. If I counted right it is almost 60 meatball recipes and it is only Tuesday. I am not sure how you are going to choose a recipe when by the looks of them they all have merit. Can't wait to see how many more entries are in by Thursday. Have any of you tried the meatballs from A16 Food + Wine cookbook? Seriously, the best ever. I've made them so many times I could make them in my sleep. Since it's not my recipe, I won't submit it, but for any meat lovers out there, you have to try them. Could you possibly share the recipe? Just a question about what a meatball is for this contest: Are vegetarian variations ok? Does a meatball need to be round? So would an oval falafel be legitimate? Just wondering. Thanks. LOVE meatballs!! And LOVE your newsletter. I'll be entering a few recipes in this week's contest! Thank you! So glad you're enjoying food52. OMG!!! This is only Sunday and ALL the recipes are sounding SO TASTY! 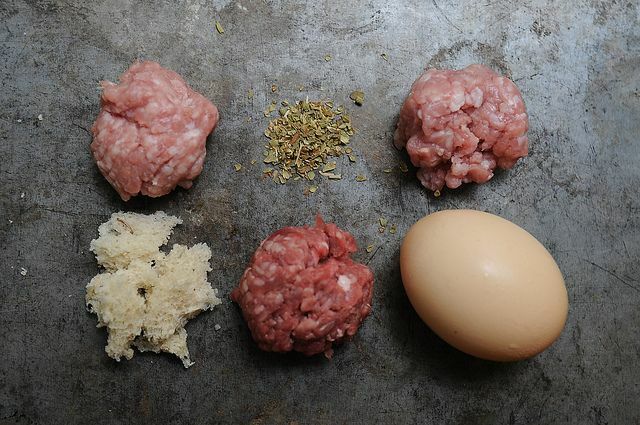 I love the Food52 tote bag, and I have a lovely meatball recipe to try to get it. Mrs. Larkin, good luck waiting on the repair people. I guess you'll just have to go out to eat. Can't wait to make some meatballs... and see what everyone else rolls up! Wow, you have left the door wide open on this one. This will be really interesting to see all the different ekes on one of my favorite foods. Sounds like that wonderful children's story-cloudy today, but chance of meatballs tomorrow. This should be another amazing week! Have fun everyone. Mrs. Larkin is out of a range again. And looks like the fridge is dead too. Mrs. Larkin is not a happy camper. But at least the Fios guy fixed our connection so I can decompress by reading all your yummy meatball submissions while I wait for the Sears guy to come next week. Really sorry about your stove and fridge - know you would have submitted great recipes! Man, you do not have great luck, do you? If you lived closer, you would be welcome to come over to cook! Western Mass may be a bit far, though. I'm with Aargersi. I love me some meatballs. YAY for meatballs! I am with Aliwaks on this one, plus NO JAM for a week. Mr L will be happy about that!!!! Meatballs are one of my favorite food groups.